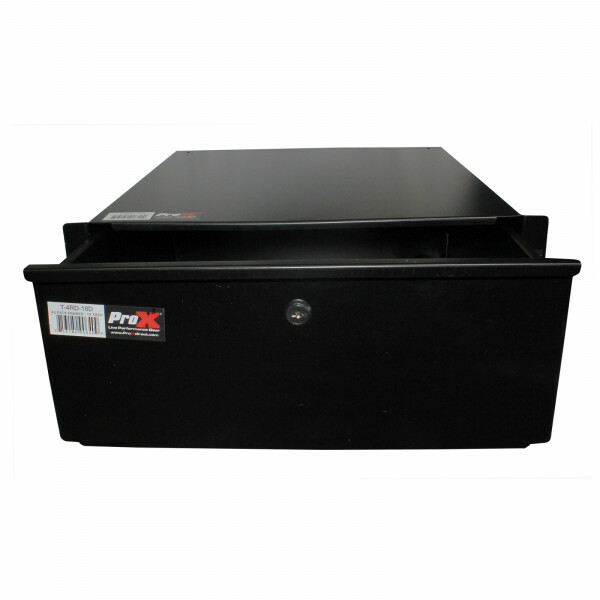 The ProX T-4RD-18 Rack Drawer is a handy storage drawer. Fits all USA popular standard 19 inch wide rack mounts. Heavy Duty all-metal construction. 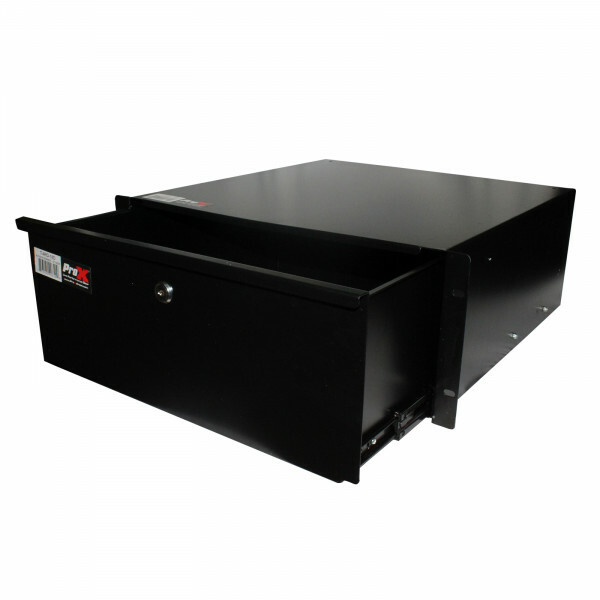 The ProX 19" wide Rackmount Drawer, 16-1/8" useable width & 9" height, transforms any standard rack case with a convenient, secure storage unit that can hold a wide variety of pro DJ and audio equipment: accessories, adapters, cables, iPods, etc. 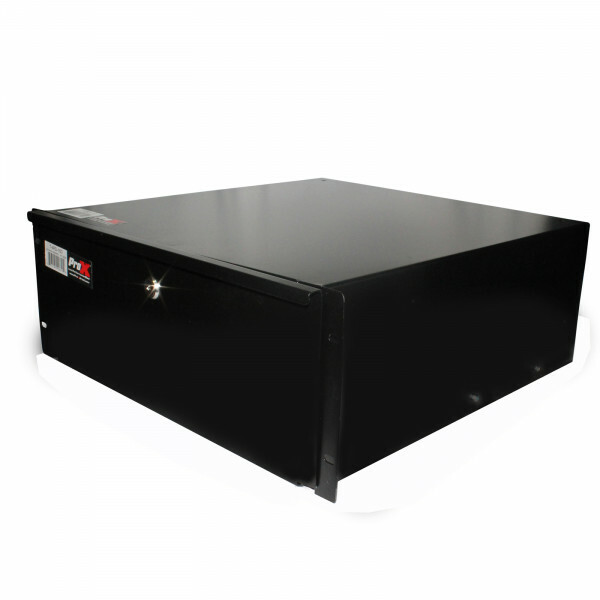 Features secure lock with 2 keys included and draw top handle. This drawer front to back is 18" in depth. 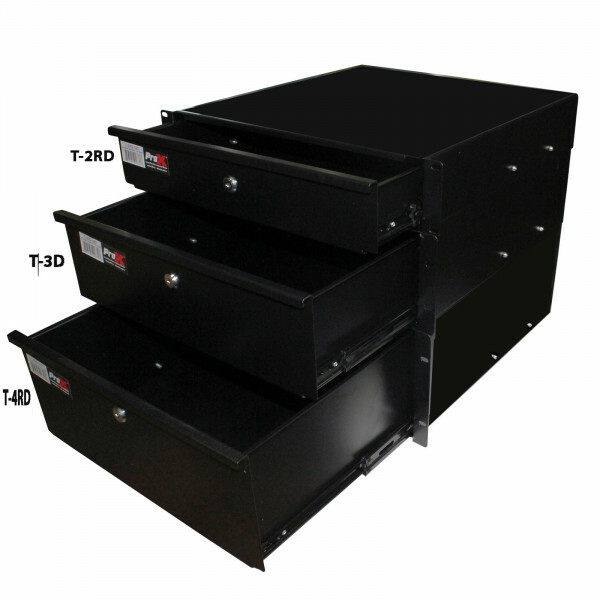 *Note: Racked T-RD images are demonstrations; rack drawers are sold separately, not as a package.